 The Scene Magazine - Page 4552 of 4581 - What's up Toronto? Two critically-acclaimed albums Cencerro Blanco (2004) and Casa Diablo (2007) plus countless North American and European tours, White Cowbell Oklahoma reconvened in Toronto to record Bombardero in 2009. The band had long flirted with southern tinged psychedelic-prog, but this time nothing was held back. Putting country sounds on the back burner, WCO instead looked to heavier 70s influences like Atomic Rooster and Black Sabbath, as well as to lysergic icons Hawkwind and the Jimi Hendrix Experience. The result: melotron-infused epics like Bombardero II, Keys to the Universe and Frankenstein (originally recorded by the Edgar Winter Group in 1973). But not to completely shed WCOs past, Bombardero also boasts greasy riff-rockers Piece of the Action, This Cracker and Happy Ending all tributes to life in the Tex-Mex underbelly. The band has recently honed itself into a lean, mean rock sextet. The Sergeant, who had previously shared lead vocals with Clem C. Clemsen, left the band after contributing to three songs during the Bombardero sessions. The band continued undaunted, and the resulting album is a testament to WCOs exponential growth as rock masterminds. Mixing was executed by Adrian Popovich (guitarist for riff monsters Tricky Woo) at Mountain Studios in Montreal. White Cowbell Oklahomas live show is infamous for its explosiveness. They are set to play Distortion in St.John’s this weekend!